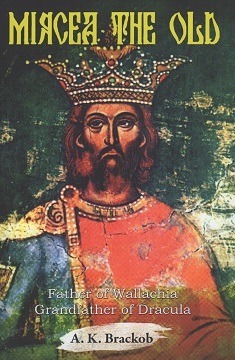 Although his grandson, Vlad the Impaler, better known as Dracula, has acquired much greater international fame, Mircea the Old was the most significant ruler to sit on the throne of the small principality of Wallachia during the Middle Ages. He, along with his own great grandfather, Basarab, who secured the independence of the principality with his remarkable victory of over Hungarian King Chares Robert of Anjou at the battle of Posada in 1330, must be considered the father of this Romanian land bordering the left bank of the Danube. Mircea the Old, during his long reign from 1386 to 1418, consolidated the political and administrative structure of his principality and maintained its freedom at the time of its most significant peril. He defeated the mighty Ottoman Empire, the greatest power of his day, in battle and made his small country a major force in international politics at the dawn of the fifteenth century. Mircea also established the dynamic ruling dynasty from which the Dracula legend would ultimately be born.